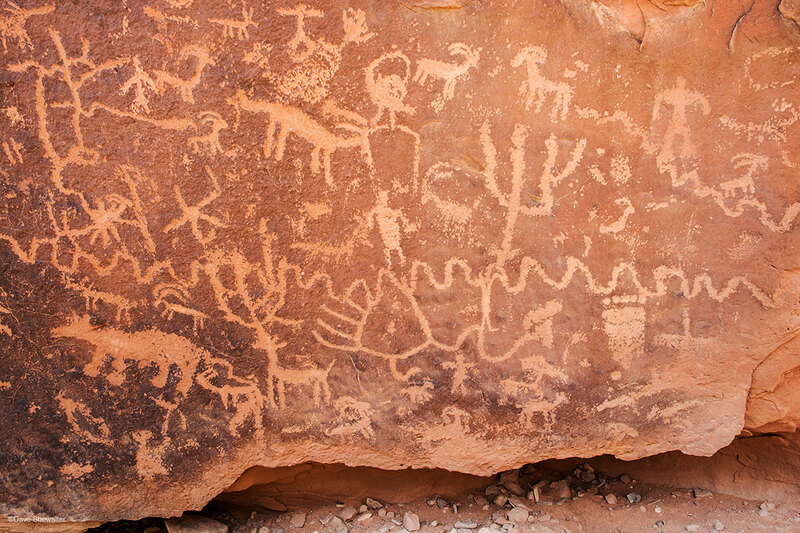 This wonderfully rich in detail petroglyph panel awaits hikers ascending Big Dominguez canyon. There's a big waterfall nearby, an important place for the Native Ute People who migrated through this canyon between the uplands of the Uncompahgre Plateau and the Gunnison River. Photo © copyright by Dave Showalter.